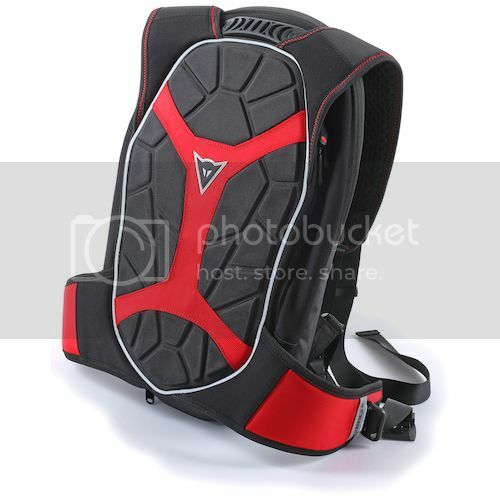 Ducati 899 Panigale Forum > Classifieds > Riding Gear > What backpacks do you guys use? .... As someone else said, it feels like i forgot to put on a seatbelt when i'm not wearing it. I couldn't agree more! I have the Kriega R25 and I have to have it on whenever I ride - even when I carry nothing other than my back protector in it. Riding without it feels -- as you and others have said -- like you've forgotten to put on your seatbelt. I have the ICON Squad II in orange. Its not the most aero back pack and its a bit cumbersome, but its big, fits a ton of stuff (I carry all my rain gear each day), has a nice laptop compartment (which I use everyday), is visible, reflective, built like a tank....I really like it. I removed the crazy shoulder arm things from it though. I just use a $25 Under Armor sack, you know, the kind with the 3/8" ropes for straps... I like the fabric sack as it folds nicely and I just tuck it inside my jacket when not using, or if you have a tail cover, it will fold up and fit under it. I have an Icon Squad 3.0 in neon yellow. I have only used it once so far, but it works well, was $100, and holds my laptop. Last edited by tgodon13; 03-11-2017 at 07:21 PM.